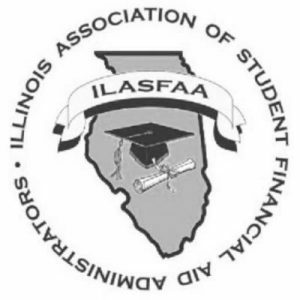 Goal Structured Solutions Inc. will be exhibiting at the 2018 Illinois Association of Student Financial Aid Administrators (ILASFAA) Annual Meeting April 16 – 18 in Normal, IL. We invite you to stop by our booth to learn more about Ascent Student Loans. Please contact Dennis Wentworth, Vice President of Business Development, at 619.980.6441 or send an email to [email protected]. Our Ascent Program is designed to accommodate most, and in some cases all, of your student population. Our Ascent Assured and Ascent Health loans help provide tuition revenue in place of offering grants, scholarships, and other forms of tuition discounting to fund your students. Get the financing you need to bolster your most successful academic programs. Recruit and retain key students. Our broader credit tiers give students more approval opportunity than other private student loan providers. Our diverse service offering is designed to meet the specific needs of your school. Our 100% U.S.-based customer service features a dedicated senior account manager who provides responsive, collaborative service to help maximize your school’s success. Our team can help your school deliver tailored marketing materials and support. We offer flexible financial solutions to enhance your school’s domestic and international global brand.